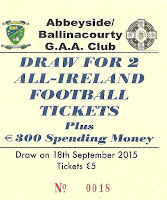 The club raffle for 2 All-Ireland Football Final tickets and €300 took place this evening in Minnies. Breda Power was the lucky winner. The ticket was sold by Pa McGovern. 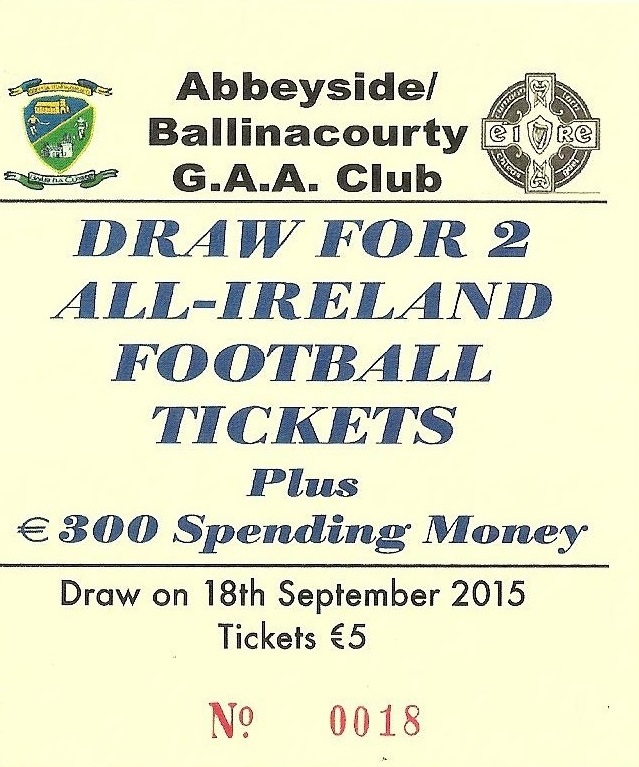 Thanks to all who bought and sold tickets. Your support is greatly appreciated.